Phil Mickelson might seem like an unlikely champion for a millennial-led menswear brand that brags that its shirts are "comfortable AF." But the 47-year-old has signed an endorsement deal with Dallas-based company Mizzen+Main and will wear their performance fabric dress shirts on the course. Mickelson took one of their long-sleeve shirts out for a spin during Masters week, where Tiger Woods made fun of him for it. Phil's fashion choice even inspired its own Twitter account. Mickelson told ESPN that he "likes to be a trendsetter." 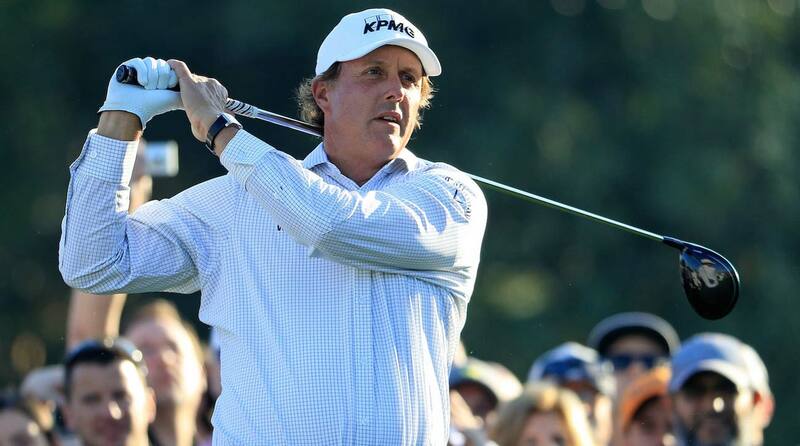 The company's founder expressed his own hearty endorsement of having Phil wear the machine washable, moisture-wicking shirts: "Having someone at this level demonstrate so clearly the performance capabilities of our dress shirts while competing is absolutely phenomenal," he said. The shirts retail for $125. Mizzen+Main was founded in 2012. Will other golfers follow Phil's lead? Wait and see. Phil Mickelson wearing Mizzen+Main during a practice round prior to the start of the 2018 Masters.